Do you remember this post recently about trolleys? 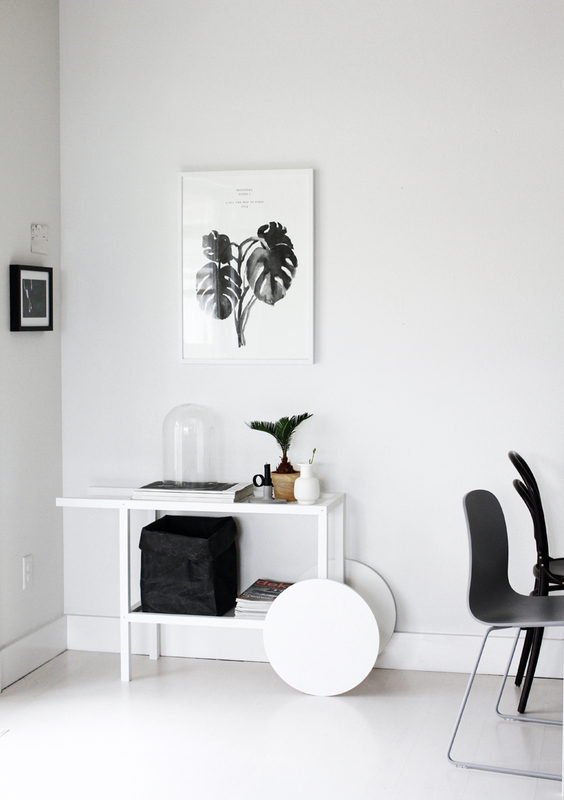 Well after some back and forth about which one I liked best (within my budget) and whether or not I even needed one to begin with, I chose the Ikea Trendig cart and painted it white. It took almost a week of painting coats after the kids were in bed to finally get this done but I did it. I thought about charcoal grey or black but ultimately chose white because I sort of wanted it to blend in to the background. Also because we're getting a new table and it's black, so wall color made sense to me. 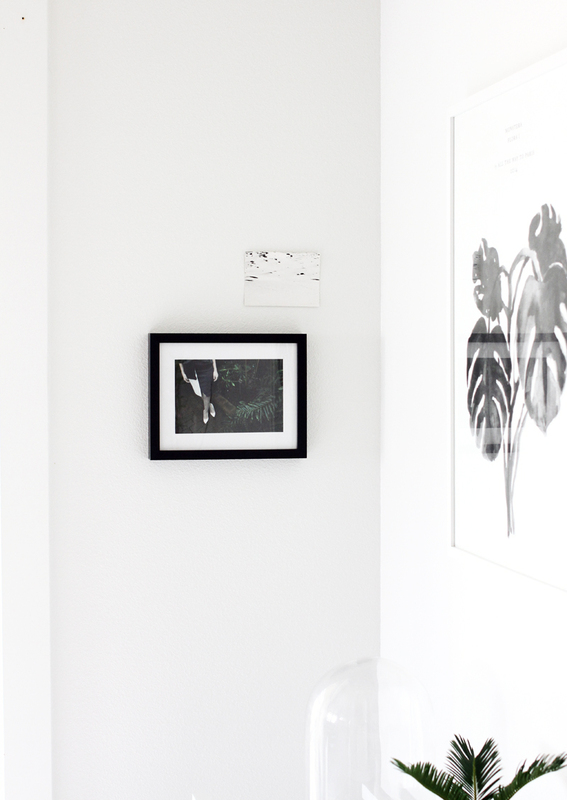 Also, I hung my this tropical leaf print by the amazing Tanja Vibe (All the Way to Paris) from Stilleben in the corner. It's one of my most favorite things right now! 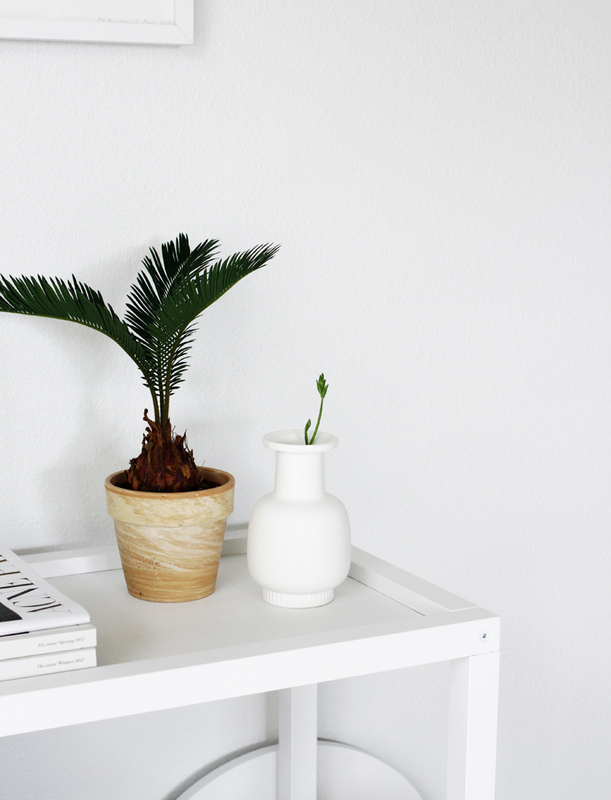 Another favorite is the Nyhavn vase Normann Copenhagen sent over. It's matte/glossy and a great rounded shape that looks perfectly good with or without flowers inside! That trolley looks so great in white so IKEA should start to produce them in a white version to! ;) and you poster with the leafs, so nice! It all looks so good. The trolley is really nice in white! p.s. i'm hosting a little giveaway on my blog. Agree with everyone else... It looks SO good in white! Since the Trendig is clear lacquered, did you have to sand a good bit or use a lacquer thinner to strip it first? Then prime with Kilz? And/or did you use some sort of lacquer paint without sanding? Would love any tips! I did sand a bit and then put about 4-5 coats on the whole thing and finished it with a clear matte spray paint. It seems to be holding up well enough right now. That isn't a box, it's a black paper bag/basket from Siwa. Oh so glad you got yours, i havent found the perfect one. Enoy!